In the spirit of Christmas, Green Initiatives 96th film screening aims to not just educate the community on waste reduction, but more importantly, inspire the community on the power of giving, and the power that we all have to better the lives of those around us. 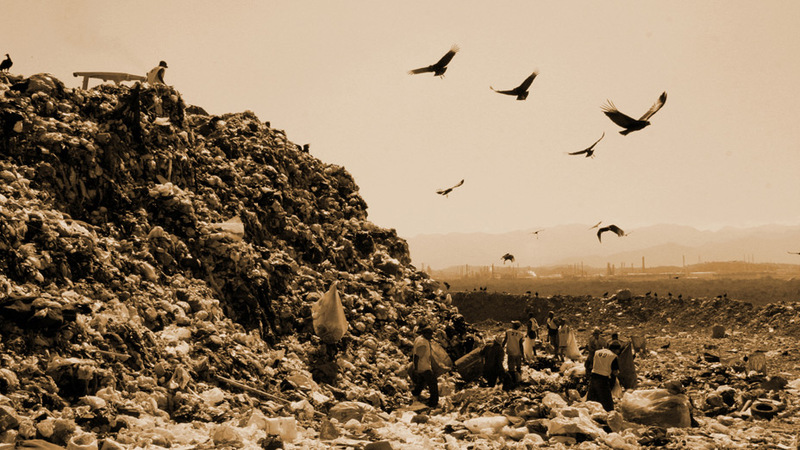 Filmed over 3 years, Waste Land follows renowned artist Vik Muniz from his home in New York to his native Brazil, and the worlds largest garbage landfill, Jardim Gramacho outside Rio De Janeiro. He photographs an electric group of catadores or formerly homeless and ex-convicts turned trash collectors of recyclable materials. However, as he continues to capture these unique characters recreating themselves in the garbage it reveals the despair and dignity of the catadores as they reimagine their lives. Waste Land is a feature documentary film that premiered at the 2010 Sundance Film Festival and went on to be nominated for the Oscar for Best Documentary Feature at the 83rd Annual Academy Awards, as well as win over 50 other film awards including the International Documentary Association’s Best Documentary Award, which was handed to director Lucy Walker inside a garbage bag. An excellent documentary capturing the power of transformative art, compassion, and the alchemy of the human spirit. Born in Sao Paulo Brazil Muniz is a world renown multimedia artist based in Brooklyn, New York. He is currently one of the worlds most innovative working artist today known for using unconventional methods utilizing; chocolate, ketchup, peanut butter, recycle materials, and various other items transforming them into contemporary art. Click here to find more of artist work. Entrance fee of ¥50 for all registered guests, that includes snacks, juice, and beer. ¥70 at-the-door for non-registered guests.